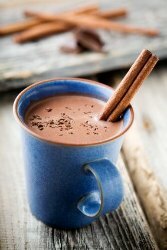 In winter it is very cold and me and my friends did a hot chocolate sale. We sold hot chocolate, biscuits , chocolates and handwarmers. This is great for people to keep warm. We gave out flyers in the shape of a cup of hot chocolate to attract people to our stall. Neill Wilkins from Better Fundraising Ideas says – This is a great idea and a brilliant example of how a very simple thing, that doesn’t cost too much or take too much to organise can really deliver. Its not just the money raised that’s important either; coming up with a regular stream of quick but fun fundraisers helps keep your organisation in peoples’ minds. I can see this working well in school playgrounds, workplaces and outside churches after the service. It is also a natural fit for sports teams. Just think of all the Mums and Dads stuck on the sidelines on a frosty winter’s morning watching little Johnny and his mates playing whichever sport it is. How grateful would those parents be for a nice hot cup of something warm and reviving – Kerching!! It would not take much to pull in a bit of cash and it’s very easy to test the idea. Don’t just think of Winter Warmers either. The kids lemonade stall is a classic fundraiser, water, orange squash and a few biscuits can all help bring in the cash. We sold lots of bottles of water to spectators at my daughter’s school sports day. There are also all sorts of days throughout the year when you could do a quick special. How about a Love Mug of Hot Chocolate on Valentines, a Spicy Soup for Halloween and Ice Lolly Fridays after school in the Summer term. People love this sort of thing because they’re fun and easy. For you they’re a great way to raise funds for the things you care about.